Trying to decide whether to get a divorce or legal separation could be tough. For you to make a more informed choice, it’s very crucial that you have at least a basic understanding of both options’ emotional and legal consequences. This is vital for weighing all your options more thoroughly since both legal separation and divorce have the same effects in relatively different ways. Both legal separation and divorce legally create a physical space between you and your spouse, which means that in both instances, you would be living separately. In both cases, however, the court would still have to decide on orders concerning child support and custody, property and debt division, and alimony or spousal divorce (if you opt for divorce), explains top divorce attorneys in Albuquerque such as the Law Office of Dorene A. Kuffer. Getting legal separation and divorce would separate your otherwise legally entwined lives and establish financial boundaries and rules that you both have to follow. The most vital distinction between lawfully getting separated and divorced is that divorcing would result in your marriage formally ending, meaning that your legal status would revert to single and you would be free to remarry. But with a legal separation, you’d stay legally married; hence your legal status would still be married, and you won’t be allowed to remarry. Rights of inheritance would still apply to both of you as well. The answer to this would usually come down to personal preference. It’s vital to note though that a divorce is final and binding, while a legal separation is revocable and reversible. Some couples are bound by personal beliefs or religion that don’t allow getting a divorce, so being legally separated enables to stay married while living separate lives. Being legally separated would likewise entitle you to receive specific benefits including pension plans and social security. 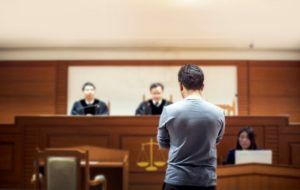 You could also use a legal separation as a trial period before a divorce since it would enable you to resolve your divorce issues and try to figure out if divorce is really the way to go. A legal separation might likewise be easier to deal with for your kids since you’d stay married and it doesn’t seem as final and life-altering as getting divorced. Both a legal separation and divorce are practical and valid options you could consider when trying to deal with a marriage on the rocks. Bearing this in mind, you need ample time and legal advice to think things through. Have you ever heard about court reporters? Court reporters in Phoenix work in a variety of settings. It is a very interesting profession, and though the hours can be long, it can be a good source of income for any person with a family.